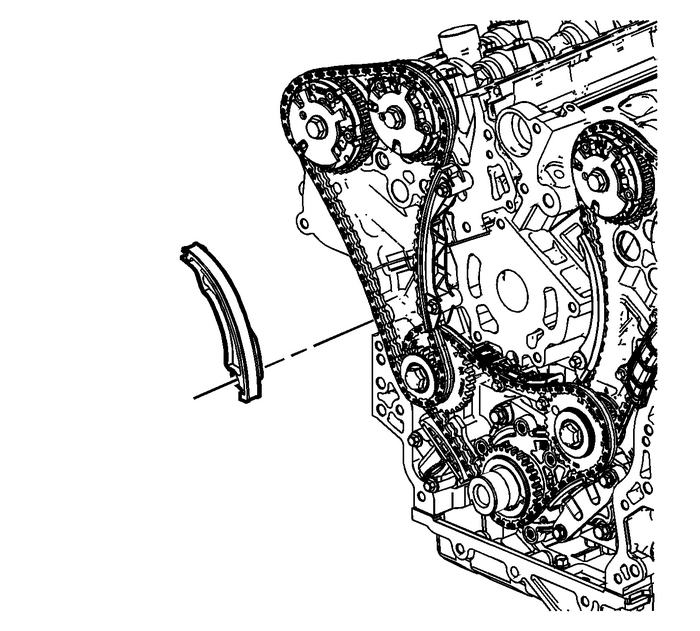 Ensure that the right secondary camshaft drive chainshoe-(1) is being installed. 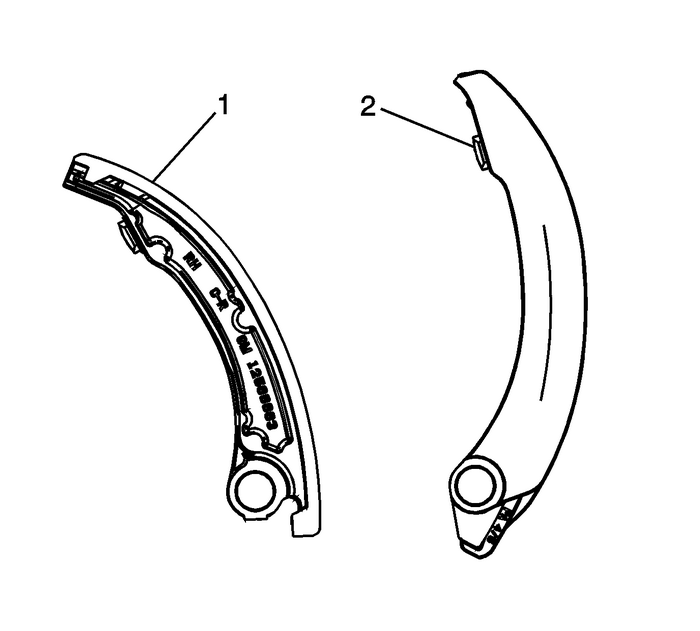 Position the right secondary camshaft drive chainshoe. 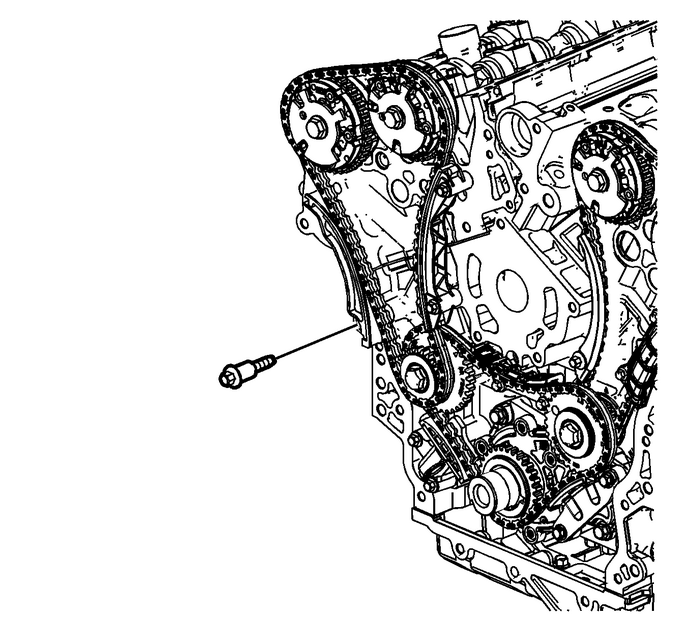 Install the secondary camshaft drive chain shoe bolt andtighten to25-Y(18-lb-ft).